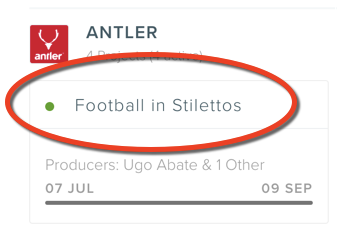 To open a chat with the Creator working on a particular Job, click on the Clients icon (top left hand corner) to see all your active Projects. Then click on the Project title. Please note that a Project can consist of few Jobs. The Project window opens, and you are now able to see all the Jobs within the Project. Click on the project title. 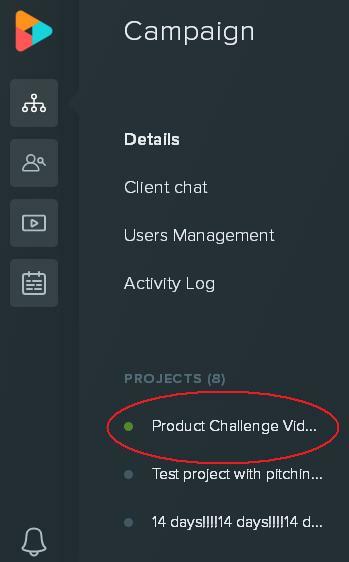 Clicking on the project title will take you to the Job Chat chat box.